The color of the invitation pocket card is Gold Pearlescent Metallic. 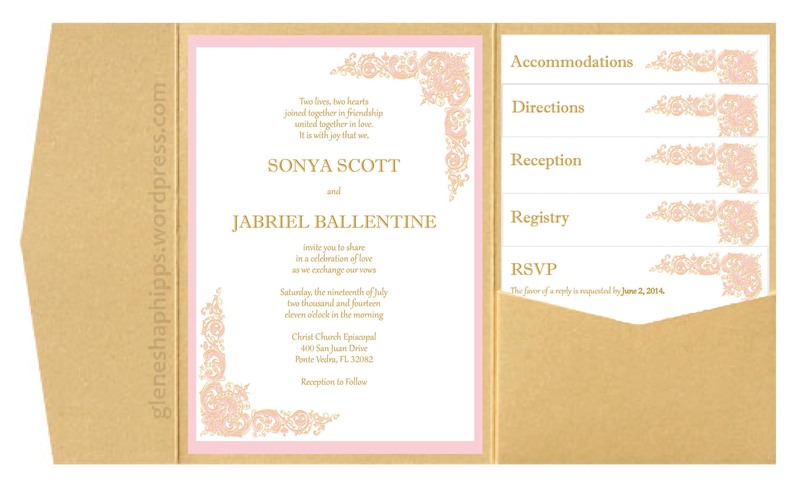 The color of the invitation base is Rose Pink Pearlescent Metallic. The paper shimmers in the light, has a beautiful soft sparkle and is metallic on both sides. The invitations were mailed in a gold pearlescent metallic envelope.